This is a group that has been together for 15 years. 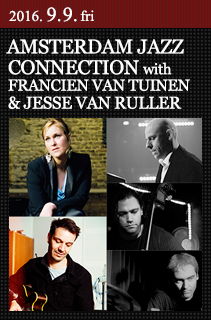 Over the years Francien and Jesse have written, produced and recorded 4 albums together in a wide range of musical jazz styles. From straight ahead jazz to cross-overs to classical music and pop. At this concert they will play a selection highlights from their repertoire. You can expect a wide range of music; from the American songbook to arrangements of classical composers like Satie and Schumann, and poppy songs from their latest album“Countryfied’. 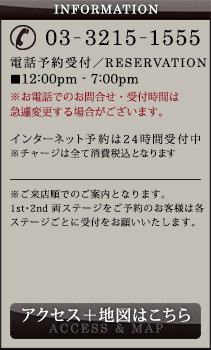 ©COTTON CLUB JAPAN, INC. All rights reserved.